Do you want to improve your classroom lessons or training? Here are three ways to blend them with e-Learning components. They will make your lessons and courses more effective and more fun. And any teacher, trainer or coach can do it. Do you want to improve your classroom lessons or training? Here are three ways to blend them with e-Learning components. They will make your lessons and courses more effective and more fun, and any teacher, trainer or coach can do it. If you ‘flip your classroom‘ you reverse the lecture and homework elements of a lesson: do the lecture at home and do homework at school. The idea is that you replace instruction by a video or an e-learning course (or a combination. This gives the student the opportunity to apply his knowledge under supervision of their teacher. This proves to be much more effective. Creating a video is easy, you know that. But do you also know that creating a course or a quiz is as simple as creating a video? There are now web based, easy to use authoring tools that you can use without any training. 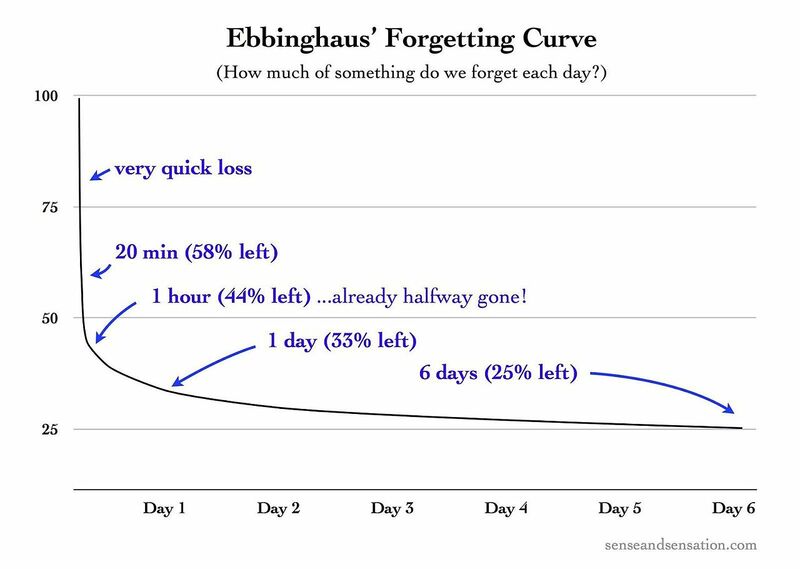 You probably have heard about the forgetting curve. The brain will forget the majority of the information that it receives in order to prevent overload. In order to prevent the forgetting you need to repeat, the more you repeat the better it will stick. Just plain repetition is one thing, but the retention will increase significantly if the brain has to process the information, if your students have to think on it. e-Learning allows you to follow-up the lesson with a whole series of small courses (learning nuggets or learning snacks) and quizzes. You can offer the content over a period of time, so you repeat it spaced out, but you change the form all the time. A video, a couple of questions, a learning nugget which repeats the theory briefly, or an assignment. If you do this you can increase the retention from 25% to 80 or even 90%. Maybe you are thinking: I don’t have the time to prepare all this! But you have. First there is already a lot of information on the web that you can use. But there is a bigger advantage when you use e-Learning: courses, assessments and quizzes are corrected automatically. In Easygenerator for example that is built in by default. You will see the results of all courses and quizzes that you students do, you do not have to do anything but to check the outcomes. Imagine how much time that will save you. Time you can invest in enhancing your classroom with e-Learning. Next Want to be successful at e-Learning? Don’t make the mistakes experts make!